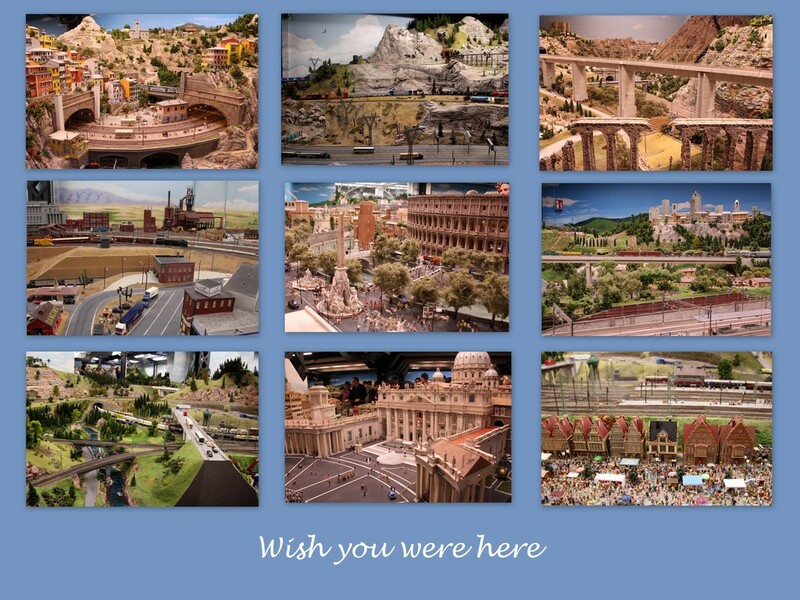 This is the model railway exhibition we visited in Hamburg last week - the largest in the world. It was a truly awesome display and such a work of art. At times the lights dimmed to show how it would look at night and every detail was perfect. There were even planes 'flying' in and out of the airport and boats sailing around the docks. Oh, every man's dream! You wouldn't be able to drag yourself away! Oh, how fun! Wish I was there, too! Wow... that's incredible. Great collage.